Disney has just released the first trailer for their live-action remake of Dumbo, which is directed by Tim Burton. In true Burton and Disney style, the first footage is truly heartbreaking, paying homage to the source material while adding a new emotional depth, thanks to the director. The reimagined Dumbo story follows a former circus star, played by Colin Farrell, who returns to the big tent after coming home from war. He finds work with a struggling circus and is put in charge of a newborn elephant whose oversized ears make him the laughing stock of the show as well as the prized possession. The new Dumbo footage is looked at through the lens of Tim Burton. We've seen teases of what the baby elephant will look like, but nothing can prepare for how cool the real-life Dumbo in all of his glory. The previously seen artwork and statues have zero to nothing to do with the final version of the elephant with the over-sized ears. As with most Burton productions, everything is dark and gray looking, giving a personal feeling for the baby elephant. Disney's live-action remake of Dumbo is hitting all of the categories for a proper remake, especially for a Tim Burton style filming, which is expected to focus on the dark atmosphere of the origin story, while showing off a new side to the character that we have yet to see on the big screen or any other screen for that matter. Dumbo looks incredibly sad and tailor-made for a record nerd who is looking to share their collection with somebody as soon as possible. We're going to see a much darker remake for the Dumbo origin story that is expected to be told on the big screen in the months to follow. The first footage is exactly what fans of Tim Burton would come to expect, with the much darker coloring. Everything looks promising and hopeful from the start, but it will soon fall into oblivion for the poor little flying elephant. There's nothing that one person can do to try and stop the contagious feel for Disney's newest live-action remake of a classic Disney cartoon and hopefully, fans are just as excited for animation remake as anybody else is. The very first trailer for Disney's live-action remake of Dumbo is finally here. We were teased to a statue for the D23 Expo last summer and now everything seems to be falling into place since everything has now opened. The straight-forward Dumbo story is a thing of the past for now and more characters are expected to be announced within the next few weeks. Everything seems to be running smooth for the first official trailer for Disney's live-action Dumbo, and more news is expected to drop soon. 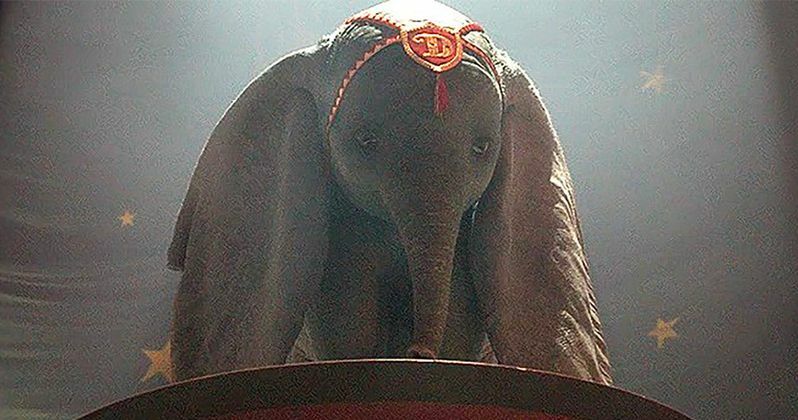 The new trailer for Dumbo as well as the first footage is severely underrated and people are expected to join in at any time.